Perfect for those lazy hair days! 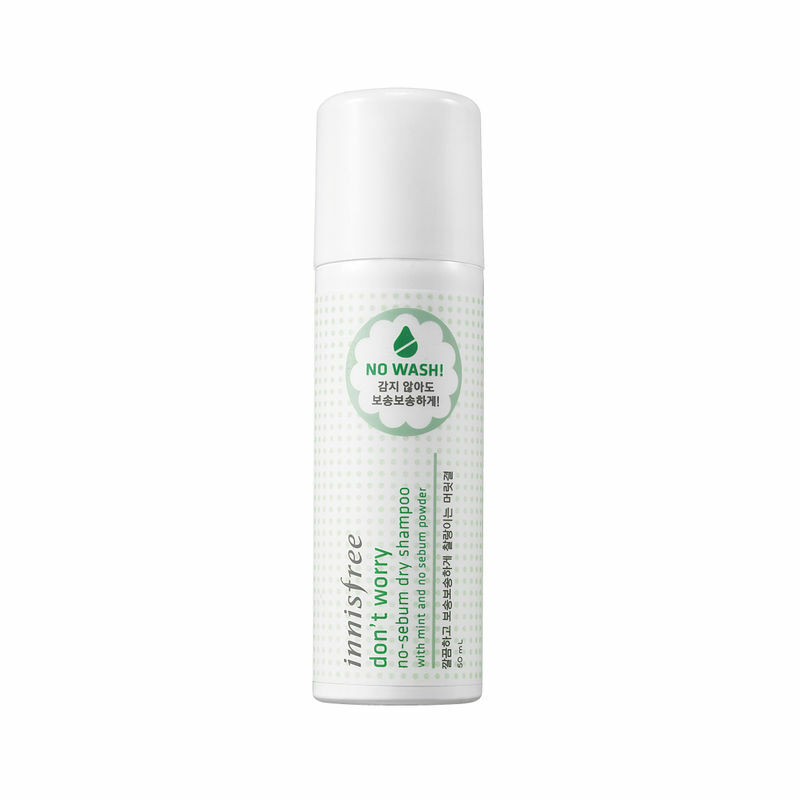 The Innisfree Don't Worry No-Sebum Dry Shampoo contains mint and no-sebum powder formula for a no wash hair solution. This refreshing dry shampoo is ideal for cleaning your hair and scalp without using a drop of water in situations where it is difficult to wash your hair. Additional Information: Innisfree, a 100% natural beauty brand from Korea, is dedicated to share the clean and pure energy of nature to give you premium beauty and skin care products. It shares the benefits of nature from the pristine island of Jeju, allowing for vibrant beauty and pursues an eco-friendly green life to preserve the balance of nature. Widely popular worldwide, this brand brings to you unique product line of skin care products and cosmetics ranging from Sleeping Masks, Face Serums and Mists, Capsule Recipe Face packs etc. along with modern makeup products like BB and CC Creams, Lip Tints and eco-friendly nail paints. Explore the entire range of Dry Shampoo available on Nykaa. 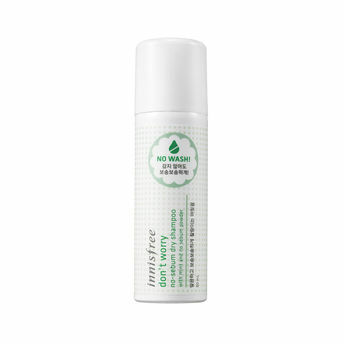 Shop more Innisfree products here.You can browse through the complete world of Innisfree Dry Shampoo .